The recent decision by Pakistan's top court to overturn Asia Bibi's death sentence and free her from jail is obviously welcome news, a US lawmaker said. Asia Bibi was arrested in 2009 for allegedly using derogatory words during a quarrel with Muslim women. 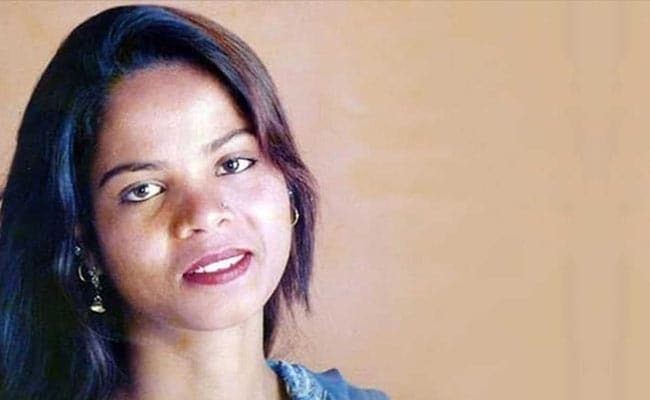 A US lawmaker has introduced a resolution in the House of Representatives to grant asylum to Pakistani woman Asia Bibi, who was acquitted by the Supreme Court in a blasphemy case, claiming she was "persecuted" in the Muslim-majority country for being a Christian. A three-member Supreme Court bench threw out a petition seeking to review the top court's decision to acquit 47-year-old Asia Bibi on Tuesday. Asia Bibi, a mother of four, was arrested in 2009 for allegedly using derogatory words during a quarrel with Muslim women while working on a farm in Punjab province. Asia Bibi was convicted in 2010 by the trial court and her death sentence was maintained by the Lahore High Court in 2014. The top court overturned her conviction last year, sparking days of violent demonstrations led by hardline Islamist parties. "Asia Bibi has been persecuted, jailed and threatened for doing nothing more than being a Christian in Pakistan," Congressman Ken Calvert said. The recent decision by Pakistan's top court to overturn Asia Bibi's death sentence and free her from jail is obviously welcome news, the lawmaker said. "However, Asia continues to be in danger and is the subject of incendiary rhetoric by radical Islamist leaders. That's why it's essential for Congress and other defenders of religious freedom to stand up and protect her," Mr Calvert said. Recognising the importance of granting asylum to those with legitimate claims of persecution for their religion, race, nationality, membership in a social group, or political belief, the resolution supports granting asylum in the United States to Asia Bibi and her immediate family. Pakistani media reports on Thursday said Asia Bibi may leave the country shortly as there are threats to her life. Her two daughters have already shifted to Canada. Pakistan said on Thursday that Asia Bibi was a free citizen and has the right to travel anywhere inside the country or abroad. Asia Bibi's case gained prominence when former governor of Pakistan's Punjab province Salman Taseer was killed in 2011 for supporting her and criticising the blasphemy laws. A month after Salman Taseer was killed, Pakistan's religious minorities minister Shahbaz Bhatti, a Christian who spoke out against the blasphemy law, was shot dead in Islamabad.